Here is your official insider invitation to some of the upcoming in-store tastings and special events happening at our store as we kick off the holiday season! Join us for a tasting event showcasing Ruffino Italian Wines to be paired with canapé style hor d’oeuvres. Don and Elaine Triggs, former owners of Jackson-Triggs and owners of Culmina Family Estate Winery, will host an in-store tasting, personally greeting and pouring products from the estate for guests. Have your 1.75 litre bottle of Belvedere specially engraved just in time for the holiday season-a perfect personalized gift that will be cherished for years to come. Join BC wineries at Edible Canada for a stand-up grazing event pairing BC wine and Alberta food. In light of the recent boycott on the importation of BC wine to Alberta, we encourage the food and wine community to come together in a show of support for BC wineries and Alberta food. Participating wineries include 50th Parallel Estate Winery, Culmina Family Estate Winery, Haywire, Liquidity, Painted Rock Estate Winery, Poplar Grove Winery and Summerhill Pyramid Winery as well as Mireille Sauvé with the Dames Wine project. Winery principals will be on hand to showcase their wines and talk to guests and celebrate the gains that the industry has made over the past two decades. Wines will be showcased along with Alberta foods such as beef and bison made by Edible Canada and guest chefs. All proceeds will be donated to the BC Hospitality Foundation. You can buy your tickets at this link. Road 13 Vineyards has been having a great season, winning awards, preparing their Advent Wine Calendar, and pairing their wines with Ned Bell’s Lure Cookbook. Below is the latest news about these items directly from Road 13 Vineyards. Enjoy! Road 13 Vineyards saw another busy summer season of wine-loving tourists and locals through their Golden Mile Bench tasting room. With a number of wines in the portfolio currently sold out and a bounty of awards at the British Columbia Wine Awards and Wine Align National Wine Awards – it’s safe to say the Oliver based vineyard has had a successful few months. These awards come hot on the heels of Wine Align’s National Wine Awards of Canada 2017 which awarded Road 13 Vineyards as the Best Winery in BC and #4 in Canada – Road 13 has been named Top 10 Winery nine years in a row. Thirteen medals were awarded in the categories of Platinum, Gold, Silver and Bronze. The vintage started out cool and wet, but quickly changed to hot and dry. These conditions produced tiny berries which result in concentrated fruit flavours and a low yield. The smoke from the forest fires this past summer helped to keep temperatures below 35 degrees Celsius allowing the vines to keep ripening grapes, rather than shutting down to conserve energy. The quality of the grapes coming in from the harvest has been excellent and it is looking like another great vintage. With Christmas around the corner, it’s time to start thinking about the wine lover on your list. Countdown the 12 days of Christmas with Road 13. The winery has a limited number of wine advent calendars available as of November 20th for $335 plus tax. Packaged in mid-summer to ensure a great selection of bottles, the wine calendar includes 12 bottles with many long sold out. For an added surprised, there are three different. For a gift that sparkles, Road 13 is releasing its first ever Platinum six-pack. This is a wonderful gift for the wine collection and is a tribute to the winery’s platinum ranked, award-winning library wines. The Platinum Pack includes one bottle of each of the following and a collectors wooden box: 2009 Sparkling Chenin Blanc, 2011 Syrah Malbec, 2013 Syrah Malbec, 2013 GSM, 2014 Syrah Mourvedre, and 2014 Similikameen Collective GSM. These wines are only available in the Platinum Pack and Road 13 is the only winery to have won enough consecutive Platinum Medals to offer this limited edition collector’s item. The Platinum Pack is available for order starting November 20th for $599 plus tax, shipping is included in BC & Alberta; $20 flat fee to the rest of Canada. Contact the winery directly to order the advent calendar and Platinum Pack starting November 20th at 1.250.498.8330. Images can be found here. 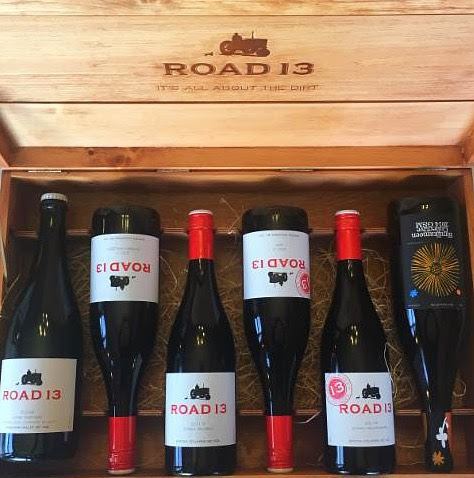 For a gift that keeps on giving, loyal Road 13 Vineyard enthusiasts are invited to join Club 13 – a wine club that sees three shipments of six bottles per year (March, July and November). Wine loving members enjoy extra perks of a 10 percent discount on all wine purchases, events and logo’d merchandise, free shipping on full case orders, complimentary tours with a member of the Luckhurst family, free tastings for up to four people in the Castle tasting room, exclusive access to limited release wines, advanced notice and access to all wines. Click here to join today! Join Road 13 during the Oliver – Osoyoos Tourism Association’s Winter in Wine Country Festival. Events include the annual Oliver community light up and fireworks, plus festival of trees. Visitors to Road 13 will enjoy holiday specials on merchandise – perfect for stocking stuffers, complimentary wine tastings, and a selection of library wines available for sale. Laura Luckhurst will be teaching a afternoon of painting featuring one of her original art pieces. Tickets to this popular class include all materials, a glass of wine and an apron. This event is a regular sell-out so buy tickets early to avoid disappointment. With the busy holiday season around the corner – Ned Bell’s roasted scallop recipe from his recently launched Lure Cookbook wows guests and is a party favourite every time. Pair with the award-winning Road 13 Vineyards 2016 Honest John’s White. Aromas of green apple, pears and lime whisks you away from winter outside to a tropical locale – if only for a bite or two. Try it at home. Melt butter in saucepan over low heat. Add thyme. Allow butter to gently simmer for 5 minutes or until milk solids turn golden brown and fall to the bottom of the pan. Meanwhile, cut and peel the grapefruit. Working over a bowl, cut between the membranes to remove the segments and let them fall into the bowl. Squeeze the membranes over the bowl to extract all the juice before discarding. If the abductor muscle (a little flap) is still on the side of the scallops, remove it. Heat skillet over medium-high heat for 1 to 2 minutes. Add 2 tbsp of the brown butter. Pat the scallops dry and add to the pan, making sure not to crowd them. Allow to sear undisturbed for 2 minutes or until browned. Season with salt and pepper, flip the scallops and add remaining brown butter. Add 2 tbsp of grapefruit juice. Allow scallops to sear for an additional 2 minutes, basting them with liquid in the pan. Divide the watercress among four plates. 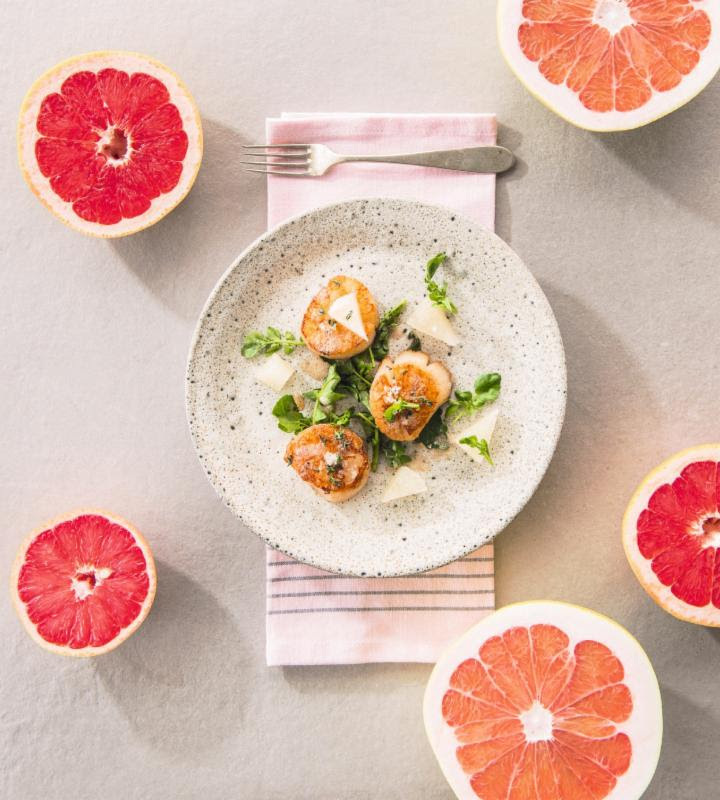 Set the scallops on top and garnish with grapefruit segments. Drizzle with the pan sauce and sprinkle with sea salt. Road 13 Vineyards is a family affair, owned and operated by the passionate Luckhurst family. Located in Canada’s only desert on the Okanagan Valley’s sun baked Golden Mile Bench, a unique sub-region that lies south of Oliver on an east-facing bench backed by gentle mountains. The winery credits their successes to the unique soil and growing conditions found in the vineyards that allows grapes to thrive. Road 13’s motto – it’s all about the dirt– reflects this tribute. The winery receives ongoing critical acclaim for making white, red, rosé and sparkling varietals that are a quintessential expression of Okanagan Valley terroir. In 2017, Road 13 Vineyards took fourth place in Wine Align’s National Wine Awards having maintained a spot in Wine Align’s top 10 for the past nine years. In addition to the award-winning wines, Road 13 Vineyards is a destination in itself, offering guests two unique experiences: feature tastings in the “Castle,” or a more leisurely tasting of the entire Road 13 wine portfolio in the Executive Lounge. Visitors are encouraged to stay a while and bring a picnic while enjoy the stunning views of the Oliver-Osoyoos Wine Country. For more information visit road13vineyards.com or visit socially on Facebook, Twitter and Instagram. On July 15 and 16, in the Okanagan will be the First Annual Art and Wines in the Vines. Here is the press release for this interesting event. Enjoy! Okanagan Falls, B.C. (July 6, 2017): Wine tastings, plein air painting sessions, and a fresh summer brunch menu await guests attending Art & Wine in the Vines, a collaborative affair hosted by Liquidity Wines, Noble Ridge Winery and The Federation of Canadian Artists. The weekend-long festival, taking place on Saturday, July 15 and Sunday, July 16, invites the public to explore the relationship between fine art, exquisite wines and local cuisine in the heart of British Columbia’s renowned wine and artisan region, the Okanagan Valley. 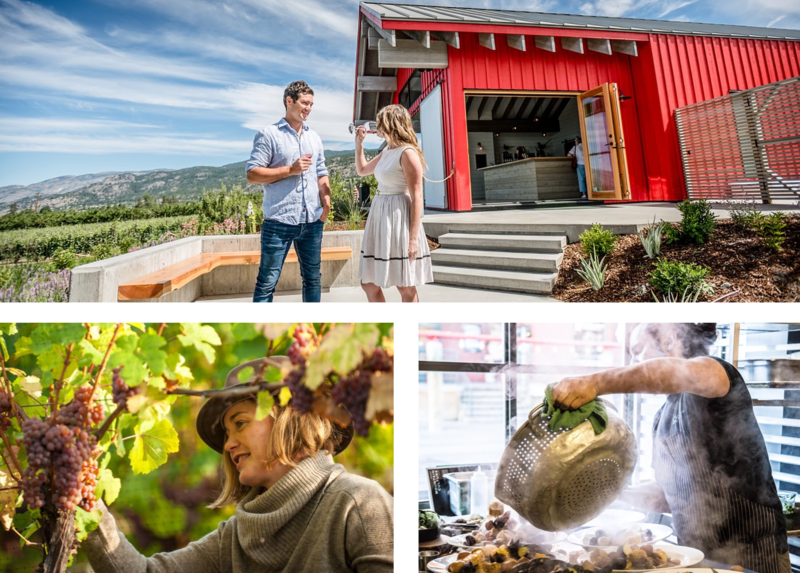 features a colourful roster of events intended to connect people with artists, vintners and culinary purveyors from the Okanagan Valley. The art walk event allows attendees to wander freely between the adjoining Liquidity Wines and Noble Ridge Winery vineyards and participate in festivities occurring at both sites; alternatively, guests can hop aboard a shuttle connecting the vineyards (the shuttle will run at regular intervals throughout the weekend). Along the art walk path, artists will demonstrate plein air painting and lead interactive tutorials (11am to 4pm; times vary by artist) while wine-tasting stations will keep guests refreshed. Tickets cost $15, and include art walk admission as well as wine tastings, a commemorative glass and shuttle access. Tickets can be purchased online at the Liquidity website. Vancouver based sculptor Marie Khouri will be presenting an exclusive lecture on Saturday the 15. During the lecture, Khouri will share insight into her process, artistic practice and personal history, including the influence of her Egyptian and Lebanese roots. Though at this time the event is fully booked, art aficionados are encouraged to include their names on a wait list by calling 778-515-5500, ext 2, or emailing info@liquiditywines.com. Before exploring the vineyards, attending seminars and chatting with artists, guests can enjoy Liquidity Winery’s Sunday brunch, hosted in the airy bistro whose stunning view of Vaseux Lake is an art piece unto itself. The dishes at Liquidity Bistro are crafted with seasonal ingredients sourced from nearby farms, with brunch features including a flavourful smoked salmon eggs benedict topped with fresh artisan greens; maple custard stuffed multigrain croissant with seasonal fruits, hazelnuts and yoghurt; the Liquidity Burger served in a brioche bun with pinot noir mustard; and other tantalizing selections. Brunch takes place on Sunday, July 16 between 11am and 3pm, and tickets are $25 (including tax and gratuity). Reservations must be made in advance either online or by phone at (778) 515-5500. Guests are advised to mention they are attending the art walk in the reservation notes. For more details on Art & Wine in the Vines and to purchase tickets click here. I received this press release from Road 13 Vineyards about their new wine releases and all the fun you can have at their tasting room if you venture to the south Okanagan to see them. It looks like a lot of fun. Give it a read and go have some fun this summer. Road 13 Vineyard it’s an exciting time to celebrate our newly released vintages. The warmer weather brings the season for wine tripping, leisurely al fresco lunches, lakeside picnics and of course, a chilled out glass of fRose™ on Road 13’s sunny patio overlooking the Okanagan Valley. The team at Road 13 Vineyards is excited to launch new vintages of 2016 Marsanne, 2015 Syrah Malbec and 2015 Syrah. The 2016 Marsanne is a perfect summer sippers with favours that are complimentary to the wonderful round texture in this white wine. The overall impression of the 2015 Syrah is of a rich, complex wine of distinction, one with excellent structure and a purity of expression that is unmistakably ‘BC Syrah’. Meanwhile the 2015 Syrah Malbec is a strong bold red that is dark and dense in colour and pairs very well with various meats and cheeses. Bottle shots and tasting notes for the above wines are available here. Road 13’s extreamly popular fRose™ – a pink wine slushie, perfect for hot Okanagan summer days, can be found in the lounge and includes a GoVino wine glass to keep. Joe Luckhurst coined the word fRose™ while pining for an ultra cold glass of Honest John’s Rosè on the patio after a long summer’s day at the winery. The Luckhursts’ perfect recipe came with a bit of trial and error and a few willing friends – needless to say it is now a hit that has hit patios across North America for which Luckhurst owns the registered trademark. Visitors to Road 13 Vineyards can enjoy tastings in The Castle, a legacy of the winery’s former owners, or the Executive Lounge, a contemporary view-centric space where guests can enjoy a sit-down tasting of the entire Road 13 Vineyards portfolio accompanied by charcuterie boards that includes a selection of meats, cheese, condiments, crackers and bread. Fans of “breakfast wine” or those guests wanting to beat the summer rush will like Road 13 Vineyards’ ‘Start Your Day‘ tour. The $25 tour begins at 9:30am and includes a tour of the sparkling cave and barrel room followed by a tasting in the lounge with fresh baked pastries. with a tour that departs daily at 11am. Learn the traditional method of sparkling winemaking while sipping on Road 13’s ultra popular Sparkling Chenin Blanc. The $40 tour also includes the barrel cellar and an Executive Lounge tasting complete with charcuterie board. Click here for reservations and full tour information. Tours must be booked in advance. a glass (or bottle) of Road 13 wine with lamb kofta, veggie pakora and tacos by the Vagabond Kitchen food truck. Drop in to the casual event to celebrate Canada’s 150th birthday. Club members and one guest are complimentary. Join Road 13 for an evening of painting and wine-ing! Laura Luckhurst will be teaching a evening of painting featuring one of her orignal art pieces. Tickets are $55 each and include all materials and a glass of wine. Class starts promptly at 6:30pm. Additional wine & charcuterie available to purchase. Join Road 13 at Backyard Farm for three cooking workshops with Chef Chris Van Hooydonk where guests will help prepare a three-course dinner to be enjoyed later that evening. Each course will be paired with Road 13 wines. Guests can choose from the hands-on culinary workshop or dinner only, seating for both is limited. Click here to for more information and to book. Join Road 13 Vineyard originals, Pam & Mick Luckhurst for a fun four-course meal at the winery. Backyard Farm’s Chef Chris Van Hooydonk’s summer feast is priced at $135 and includes Road 13 wines deliciously teamed up with each course. Book here. This early fall event sells out every year so book early to avoid disappointment. With the can’t lose combination of Luckhurst and Van Hooydonk, Pam and Mick will be serving up new fall vintages with seasonal Okanagan ingredients prepared by Backyard Farm. This four-course is $135 and can be booked here, with an optional shuttle add on. Holiday Gift Guide planning is soon to be in full swing. Road 13 is offering a short cut to the wine lover’s heart during the holiday season with an advent calendar featuring a hand-wrapped selection of the Luckhurst family’s favourite treats. Road 13 Vineyard’s “12 Days of Christmas” will begin on December 13 with a dozen days of delight counting down Santa’s arrival. Advent calendars can be ordered online or by calling 250.498.8330 starting in November. Road 13 Vineyards is a family owned and operated winery located on the Golden Mile Bench in Oliver, BC. The winery has a short yet colourful past and continually receives ongoing critical acclaim for making white, red and rosé varietals that are a quintessential expression of Okanagan Valley terroir. Accolades continue to pour in for Road 13 Vineyards who claim the success is “All About the Dirt.” In 2016, Road 13 Vineyards took third place in Wine Align’s National Wine Awards having maintained a spot in Wine Align’s top 10 for the past eight years. 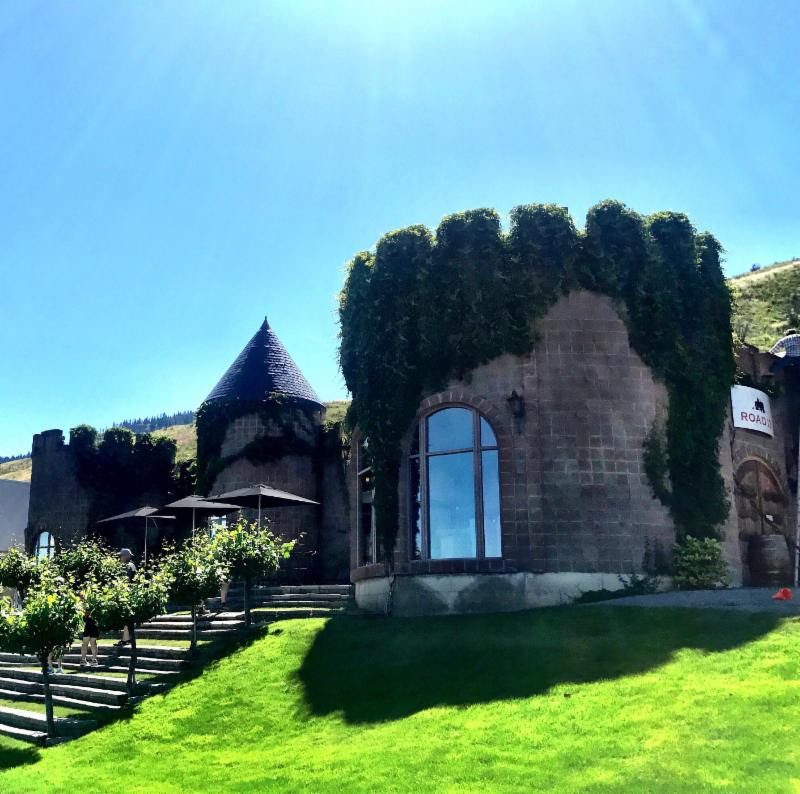 In addition to the award-winning wines, Road 13 Vineyards is a destination in itself, offering guests two unique experiences: feature tastings in the “Castle,” or a more leisurely tasting of the entire Road 13 wine portfolio in the Executive Lounge. Visitors are encouraged to stay a while and bring a picnic whilst enjoy the stunning views of the Oliver- Osoyoos Wine Country. Do you like BC wine? Have you ever attended a BC Wine Appreciation Society event, such as this excellent sounding winemaker’s dinner with Howling Bluff? The menu and wines look fantastic. Check it out and sign up if you are salivating. Please note – there are no paper tickets for our events. Once your purchase is completed you will be added to our attendees list. Please check in when you arrive. Come join us on Friday July 17 for a casual, festival-style Call Out To Summer. We’ve called out to summer, and summer has answered us! What better way to keep enjoying the long warm days than an evening with wine, food, and a bunch of other like-minded BC wine lovers? We’ll open up the patio doors, and we can toast our beautiful waterfront view with some of the best of what our province has to offer. Even better – it’s a Friday night, so you don’t have to get up and go to work the next day! For food, we’ll be providing a selection of platters of cheeses, meats, vegetables, and fruit. Place: Our new regular venue, De Dutch Pannekoek House, Vancouver Convention Centre West. It’s located in the western corner, lower (seawall) level, near the Olympic Torch. Directions (transit): It’s about a 2 ½ block easy walk from both Burrard and Waterfront Stations. Driving: You can park under the Convention Centre West. Follow the signs for the seaplane terminal. Use the doors closest to the Tap & Barrel. Parking can be expensive, though. You may be able to find cheaper parking a few blocks away. As always, we recommend that you take transit, and we will provide you with a free ticket home. Our corporate member Gone Crackers will be providing us with their “Undressed” crackers to go with our wine. We are delighted to be able to enjoy Gone Crackers with our BC wines! Please make sure you have a safe way home – take transit, call a cab, or ask a friend to be a designated driver. We will have free transit tickets on hand for those who take BC Transit home.